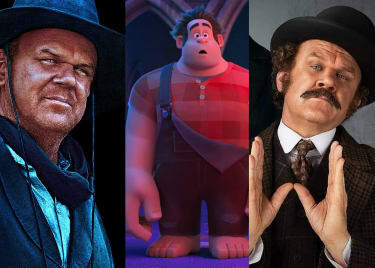 Will Ferrell and John C. Reilly are such a perfect team, it seems like they’ve done a lot more work together than they actually have. But this powerhouse comedy couple has only done two films together: TALLADEGA NIGHTS in 2006, and STEP BROTHERS in 2008. Those two movies, and especially STEP BROTHERS, which has been enshrined as a comedy classic, have made Ferrell and Reilly into a hilarious dream team. 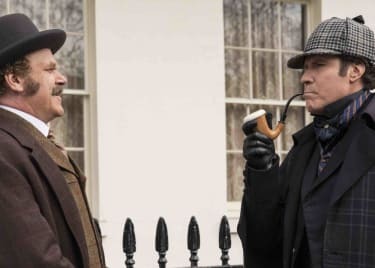 Now they have a third on the way: HOLMES & WATSON, which filters the Sherlock Holmes story through hilariously absurd comedy. We’re too excited for the return of Ferrell and Reilly to wait, so we looked back at their previous pairings to see why they make such perfect partners. Comedy teams tend to have a pattern. The comic bounces off the straight man. But Reilly and Ferrell are both the comic — actually, they’re both insane comics. Watching them in a scene is like seeing a two tornadoes inside a hurricane. Rather than one acting as the straight man, playing off the crazy energy of the other, they constantly collide. Ferrell and Reilly’s characters push each other to increasingly ridiculous highs and lows. TALLADEGA NIGHTS cast the two as Ricky Bobby (Ferrell) and Carl (Reilly), best friends and lifelong racing fans who get the chance to drive as NASCAR stars. Quite a bit of the film’s action splits the pair, as their friendship fractures. 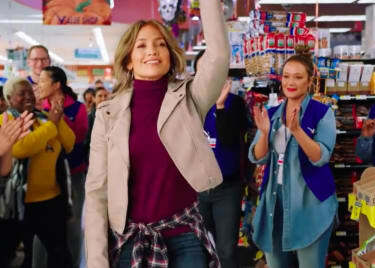 But the best scenes feature the two actors bouncing off one another, either in a friendly way while pitching commercial products, or as bitter rivals. You can see the friendship between the two actors, and every scene shows just how compatible they are. STEP BROTHERS kicked things up several notches. As slacker adults whose single parents marry after a whirlwind romance, Reilly and Ferrell get to play out arrested development on the biggest possible stage. They bicker and fight like children, and go to outlandish ends to avoid all responsibility. The film’s situations — from building impromptu bunk beds to tag-team job interviews and musical performances — are utterly unbelievable. But Ferrell and Reilly sell every moment. The chemistry between them, as previously seen in TALLADEGA NIGHTS, is a big part of the STEP BROTHERS formula. But there’s also the fact that the two performers are totally fearless. They don’t seem to have a single reservation about going the extra mile to make a gag work. And they push the needle so far into the red that everyone around them gets to play scenes in a huge way, too. So Richard Jenkins, Mary Steenburgen, Kathryn Hahn, Rob Riggle and Adam Scott all get great setups that pay off perfectly when each one explodes around the large adult step brothers. 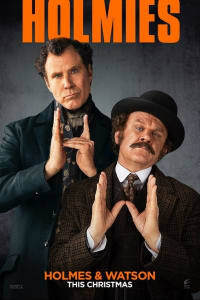 Now, a decade after STEP BROTHERS, Ferrell and Reilly have reunited for HOLMES & WATSON. The film, written and directed by Etan Cohen (GET HARD, TROPIC THUNDER) puts this incredible comedy team together with one of the all-time great detective pairs. We’ve already seen just about every possible spin on the Sherlock Holmes story, from classic and revisionist cinematic takes, to big modern action and the CBS procedural — and of course the BBC’s wickedly smart SHERLOCK, which turned Benedict Cumberbatch into a star. But we haven’t seen the STEP BROTHERS version, which is exactly what this movie seems to be. As with the 2008 comedy, trailers already suggest that this Victorian-era story won’t venture too far from the Ferrell and Reilly formula. But frankly, that’s exactly what we want. We want to see the buffoonish characters playing with the Sherlock Holmes legend, and driving everyone around them to the end of their wits. The appeal is elementary. HOLMES & WATSON opens on December 25.